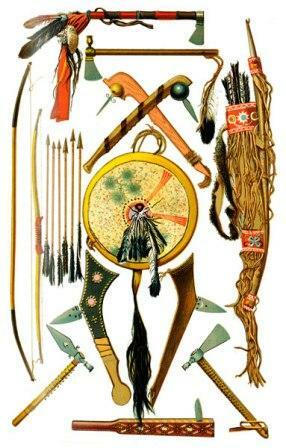 Description and Definition of Battle Hammer: The Battle Hammer is the name given to describe one of the many different Types of Native American War Clubs used during Indian warfare and combat. The name of the Battle Hammer was so-called because this weapon resembled the shape of a hammer and and measured about 15 and 20 inches long. The Battle hammer has a blunt, hammer-like head on one side of the handle or shaft, and usually a beak or point on the opposite side that were made of a hard stone. The Battle Hammer were widely used across North America during early pre-historic times both as a weapon and as a tool. The handle of the battle hammer was made with hard wood or whale bone and embellished with carvings on the handle. The Battle Hammer was a dual purpose weapon used as a close contact weapon or as a throwing weapon. It was used for bludgeoning an enemy using a swinging action. Although the battle hammer had a stone head this primitive weapon was still deadly. The blades of the battle hammer were made of strong stone like Flint, that were made by Native Americans that were expert in the art of Flint Knapping. The body of the battle hammer was flat and board-like and made from hardened woods such as hickory, juniper, oak, cedar, maple, ash, walnut and birch and weighed from two to three pounds. The battle hammer were also made from rocks of right shape and sharpened along one edge. A groove was often ground around the stone using other harder stones so that the stone could be bound to a handle with rawhide. 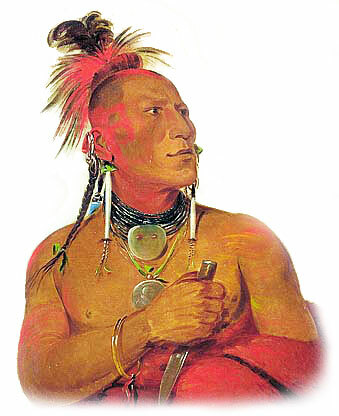 The design of the Native American battle hammer is describe as a Pick axe style of war club having a head with a pointed end and a blunt end. Despite its name the Battle Hammer was also used as a tool. The blunt, hammer-like head on one side was used for a variety of purposes including breaking wood, shells and for grinding corn. The pointed edge was used to break up rocky surfaces or hardened dried earth or in a prying capacity and cutting through roots.